I am a Laguna Beach family photographer. This beach happens to be one of my favorite Orange County locations for family portraits. The weather is great all year long, making this beach a popular destination. I can help you determine whether this is a good spot for your session. 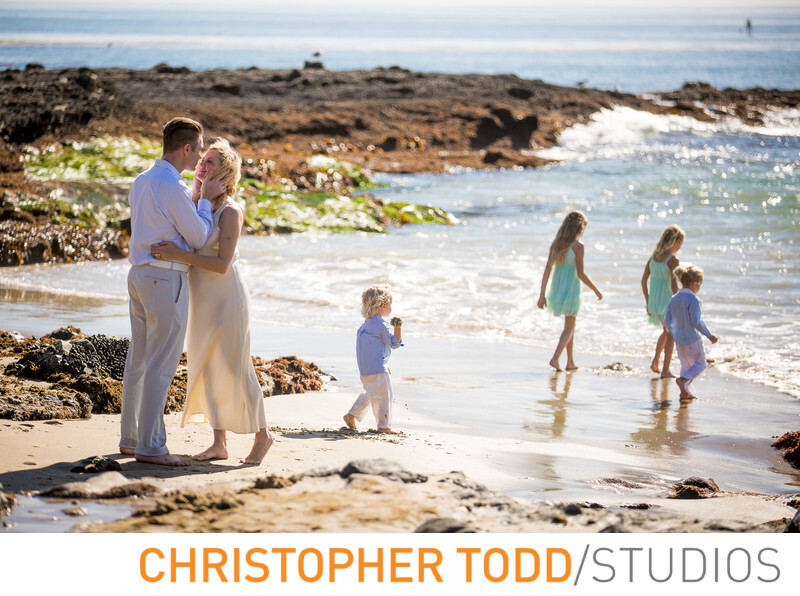 This beautiful mom, dad, and their four children had their family photos taken at Laguna Beach. After we had our more formal session with everyone looking at the camera I began to photograph the kids candidly. The parents snuck a kiss will the two sisters and two little brothers played in the water. They were not wearing bathing suits and yes they got wet. It was a fun family photo session at the Beach. See more of our family photos here. Our main goal is for you to love and cherish your photos for a lifetime. We help families with their custom print order so they can hang photos up in their home. We offer fine art printing right in our studio. No need to outsource. This ensures the best quality print. Always bring a fun and professional attitude to every session. 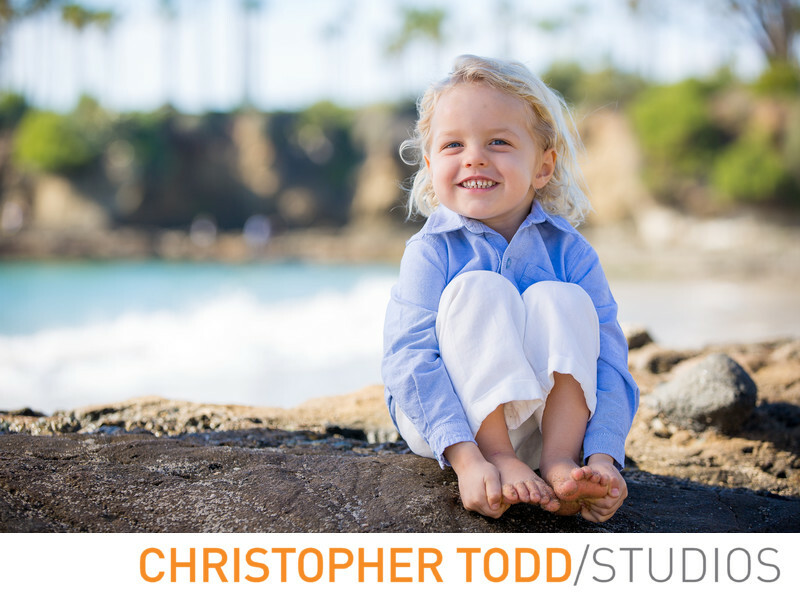 A Laguna Beach photographer is familiar with all the best spots for your family photos. Experience with working in this natural environment including sunset times and tides charts. We know which beaches need permits. We will arrange for permit if needed. Knowledge of where to park in Laguna. We taking the guessing out of getting the right look for your family portraits. W e get to know you and understand your style. This helps us envision the type of photos you want to see in your home. Are you looking for a modern, traditional, or candid style of photography? When we know what your vision is we are able to photograph you family. If you don't know we help you figure that out. Many people tell me they are not photogenic and hate being in front of the camera. No problem. We help guide you in posing and how to relax during your session. We look forward to talking to you. Don't hesitate to get in touch with any questions you might have. Location: Laguna Beach, CA 92651 . 1/1250; f/2.8; ISO 100; 130.0 mm.